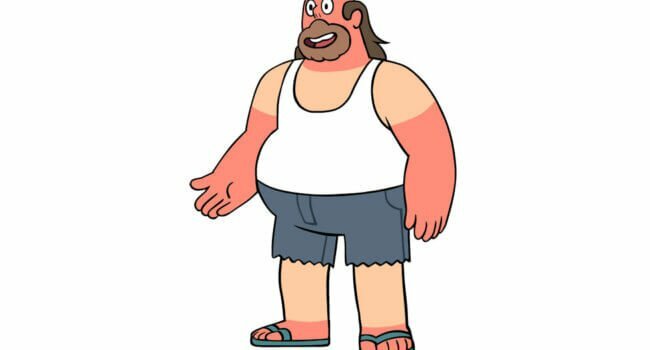 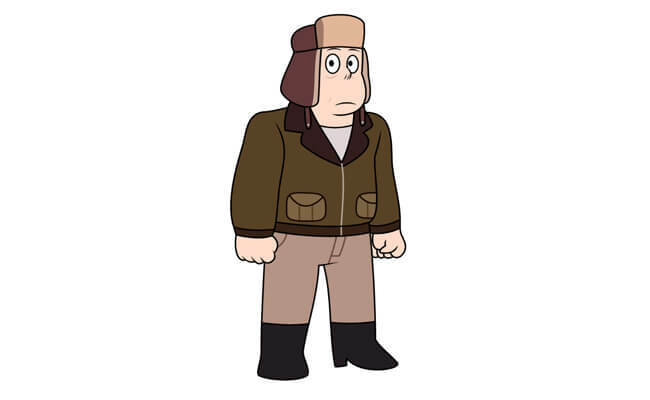 Andy DeMayo is the cousin of Greg Universe and the first cousin of Steven Universe once removed in the cartoon Steven Universe. 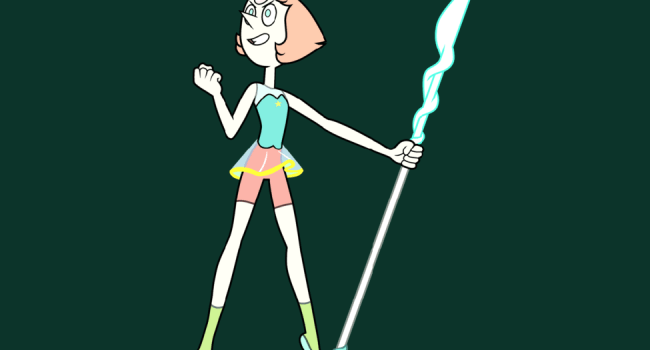 He is initially hostile to the Gems, but grows to accept them into his family. 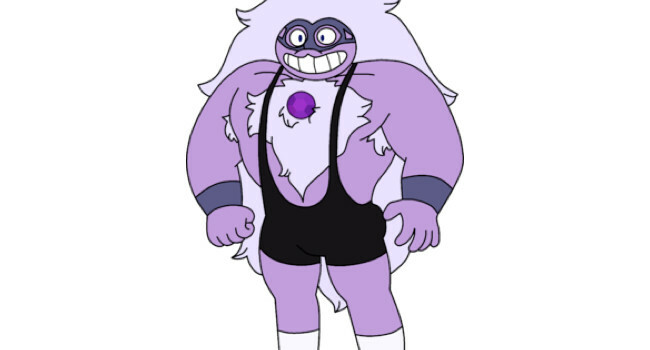 In Steven Universe, Sugilite is the fusion of Amethyst and Garnet (and by extension, Ruby and Sapphire). 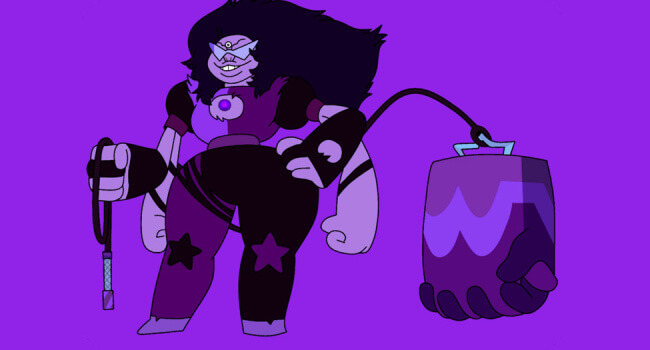 Sugilite is colossal fusion with a stocky build, with four arms (each pair seeming to share a shoulder joint). 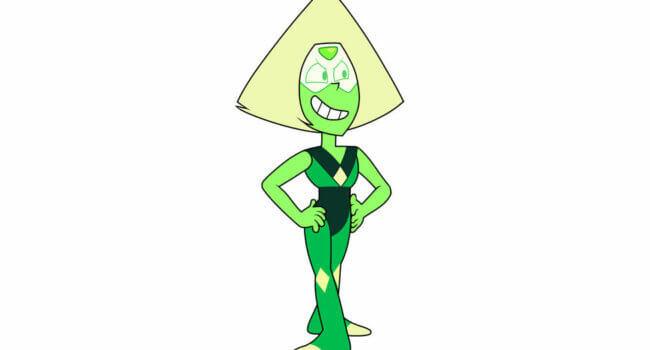 Her mouth is twisted into a grin and filled with sharp, pointed teeth. 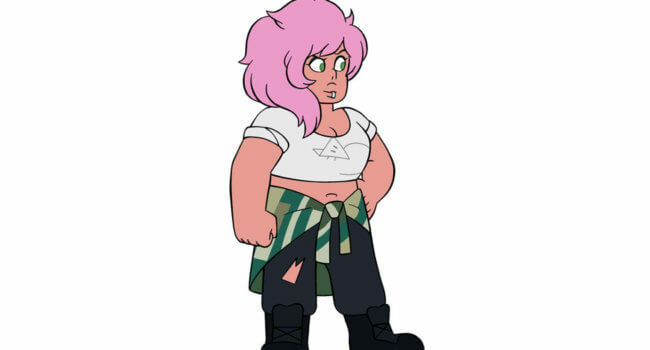 She has a giant plume of spiky, dark purple-black hair kept in an untamed style similar to Amethyst’s, but messier.